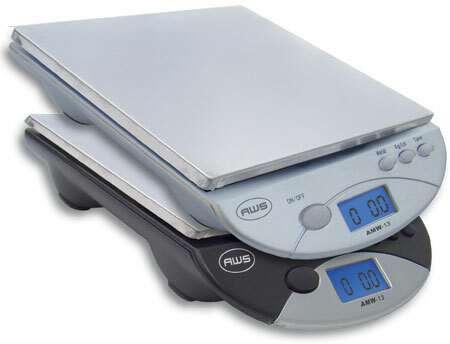 I bought the American Weigh AMW-13 Digital Postal/Kitchen Scale since I needed to quit bringing all my gear to work with me just so I could weigh it. After asking around, this scale seemed to be favored. It is small enough to store away easily, yet offers an adequately sized 6″ x 6″ platform for weighing all my gear. It will measure up to 13 lbs and provides weights in: pounds, ounces, (pounds & ounces), kilograms & grams. It comes with a 9-Volt battery, however it does not come with an AC adapter. From what I have read the scale will last quite a long time on the single 9-Volt battery, but that will be seen. So far, I have been happy with my scale. I have weighed all my gear – even the gear that I had previously weighed at work. For the most part it gave the same weights, however some things weighed slightly different. Most of my clothes was off by a single ounce, however my water bladder was off my 2 ounces. I was told that the scales at work needed to be reset, but they still seemed to be pretty on par with what the items were supposed to weigh. While I have not bought a calibration weight, I do plan on doing so in the future. The platform is plenty big enough for just about all of my gear. Some things I had to get creative with such as with backpacks and water bladders (the tube had to be coiled securely). The platform can easily be removed from the scale. There are 4 small legs on the bottom of the platform which set into the scale, however when mine arrived one of the legs was a little damaged. This presents no problem but is worth noting. The LED is very easy to read, with a blue lighted background and large black digital numbers. The only problem with this is that if the item being weighed is too large it can sometimes cover the LED screen, however with some creativity this can easily be avoided. So far, I see no reason not to recommend this scale to anyone looking for a good scale. I wish it would have come with the AC adapter just simply so that I would not have to rely on batteries, however, with so many cords I have here from everything else that came with a cord, there is a good chance I may have one that will work anyway.